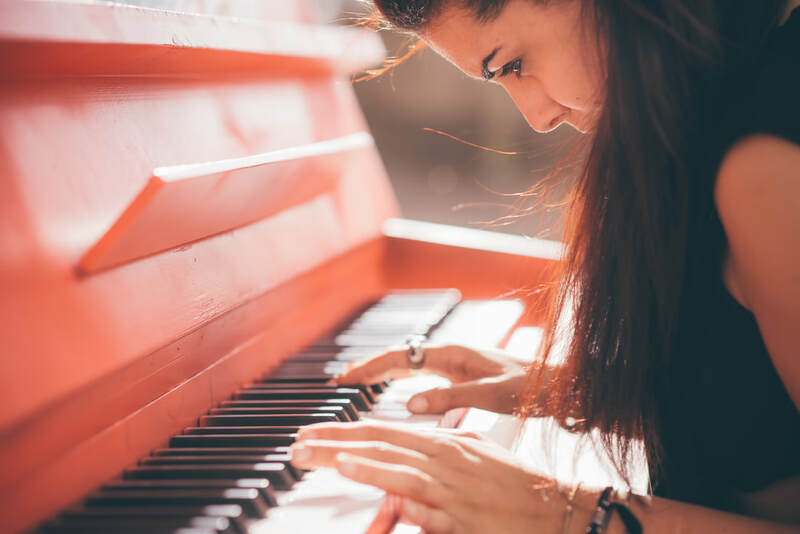 While you're researching the best school for you, consider the benefits of becoming a Joy Academy of Music student and find out why we are your number one choice for music lessons! ​1. 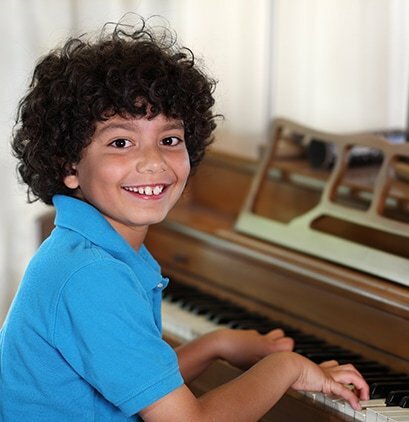 Piano lessons for ALL ages! All beginners and all levels are welcome--no matter what your age! We teach ages 4 to 104! 2. Learn the music YOU enjoy! No matter what your musical goals are, I want to help you reach them! My goal is to inspire my students--and that's the best teaching method of all! After teaching full time for over 17 years I have found that the key is to emphasize true note reading and to make it fun! My students learn how to read and play anything! I also teach improvisation, chords, and playing by ear. If there is a specific song you want to learn but there is no music available, I will write it out for you by ear! 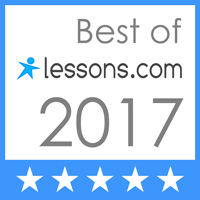 ​Learn Classical, Pop, Rock, Jazz, R&B, Reggae, Country, Contemporary Christian, Gospel, Movie & Game themes, Dance Music, almost any genre of music from the very beginning! 3. 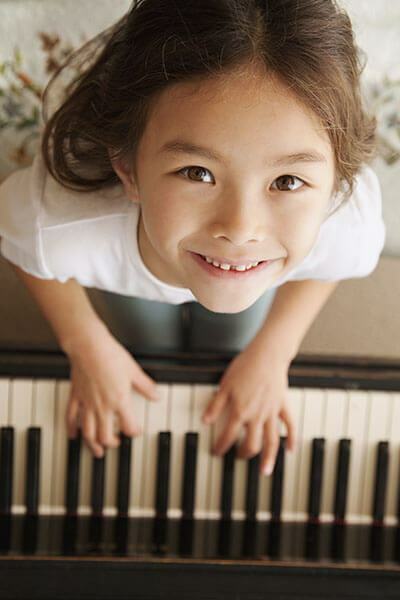 We offer small group piano lessons in addition to traditional private lessons. The best thing about small group classes is that they are fun! Small group classes (2-6 students grouped by age and experience) are a great way to learn music because there are so many great activities and games that, while helping to learn the elements of music, can also provide the social element missing from private lessons. I have found that a group atmosphere is often more beneficial and enjoyable for beginning to intermediate level students. In private lessons students progress at their own rate (which is usually slow). In group classes we progress at the rate of the fastest student. Students actually progress quicker in a group because they have more fun and are motivated by the progress of their peers. They also get to play exciting ensemble pieces, even as a beginner, which motivates their creativity. Sharing music builds confidence when it is just for fun in a casual, non-threatening environment. Our students have no problem playing for other people (they do it all the time!) Playing together out loud with a group also helps the students with learning to keep a steady rhythm, one of the most challenging parts of music (when playing out loud in a group they can hear right away when they get off the beat). 4. I teach from a one-of-a-kind method book that I wrote myself! 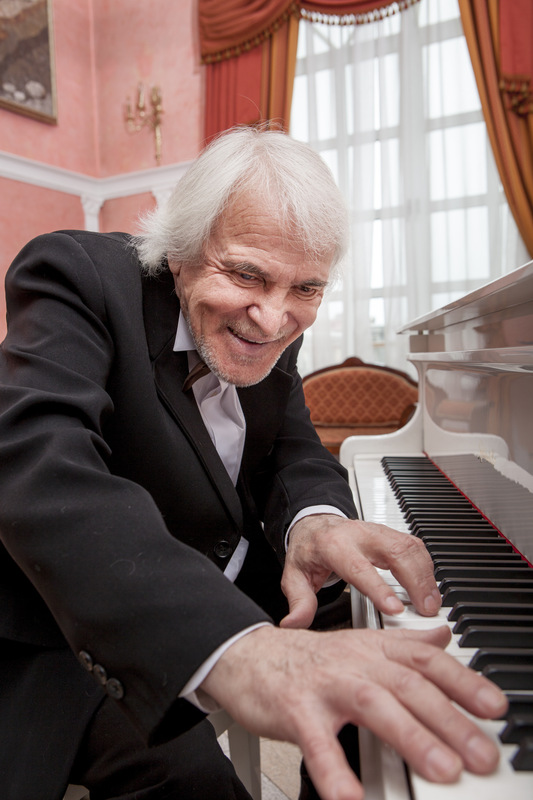 Tired of the same old boring piano lessons? 1) That every student truly learn to read music (the goal is to be able to walk into a music store, pick up a sheet of music and just play it). Our students read music like reading a book! Once you truly learn the language of music, practice isn't work, it's just a jam session at home! It's no coincidence that our name is J.A.M. (Joy Academy of Music). ​2) That every student HAVE FUN! If you have fun, then you will WANT TO PRACTICE. Motivation is built in to our program. After teaching for years out of almost every method book available, I found that my students technically played well, but if I asked them what staff note they were playing, they would say “it's a 2”, or “it's G Position”. I quickly found that almost every method book out there puts in lots of ways for students to “cheat” and to play songs without really learning how to read the notes (by using finger numbers and set hand positions). Also the music was often boring and didn't motivate the students. After I decided to write my own method book with really fun songs in every style and without all the ways to “cheat”, my students progressed quicker, had more fun, and TRULY LEARNED THE LANGUAGE OF MUSIC (in addition to making teaching loads more fun for me!). • Every lesson is like a JAM SESSION with a live band! ​5. A wide range of lesson times available, sure to fit any busy schedule! Call anytime 9:00 a.m.-9:00 p.m. to sign up! Visit our testimonial page to see what our students are saying. Every year, aspiring music teachers start their own studio, and a year or two later it’s closed. 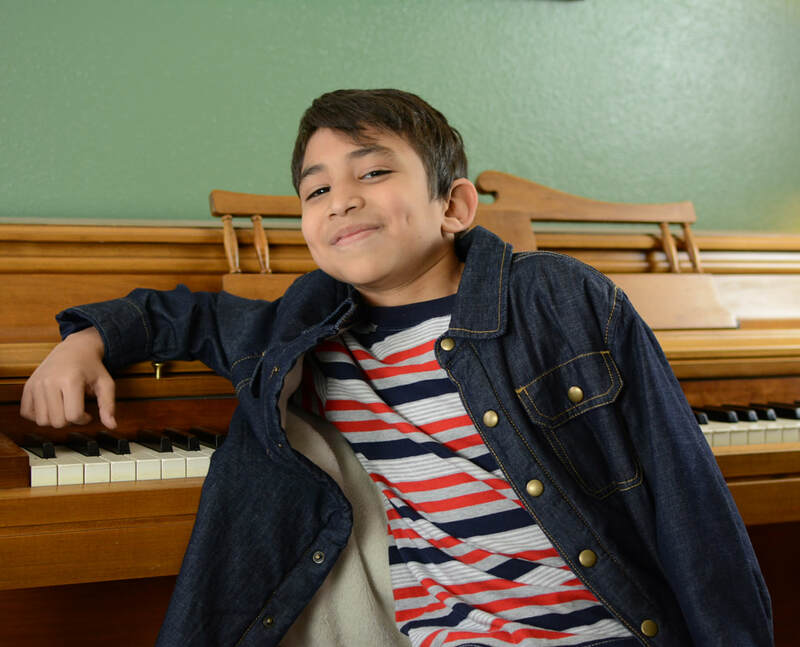 We have a proven track record of offering quality guitar, voice, singing, piano and drum lessons in San Antonio TX, year round. Our full time mission is teaching music lessons, trusted by hundreds of families for over 17 years. ​7. A comfortable waiting room for parents. 3 Comfortable waiting areas (one of them outside), leather chairs, sofa, TV/DVD player; free Wi-Fi, game room with Play Station and race car steering wheels/pedals; cold water dispenser, fridge, and homework area. Great for students and their families. ​8. Fully stocked lesson rooms. We have a jam room with full PA system, vocal mics, acoustic piano, electric guitars, bass, keyboards and drum set. We also have top of the line 88-key weighted digital keyboards. We have spent thousands of dollars to make our lessons the best they can possibly be. ​9. Free, all inclusive recitals. Every parent just wants to know how their child is doing and if they are really progressing. The best way for a parent to understand if their investment in lessons is really worth it is to have their child participate in a recital. In May and December, many of our students choose to perform in our biannual recitals. Unlike other schools, parents never have to pay admission or any related fees for these recitals. Don't like recitals? We also have a fun and unique alternative: Making Music Videos! We make cool multimedia videos twice a year and put them on DVDs and YouTube. They make great gifts for family and friends! 10. Conveniently located on Callaghan in the heart of San Antonio. Due to its central location, our school is convenient and draws students from San Antonio, Leon Valley, Helotes, Balcones Heights, Lackland AFB, Ft. Sam Houston, Brooks AFB, Alamo Heights, Stone Oak, Bulverde, Timberwood Park, Canyon Lake, Mico, Kirby, Converse, Live Oak, Selma, Schertz, Losoya, and more. We are easy to find, right off Callaghan and NW Loop 410, with shopping and restaurants close by. 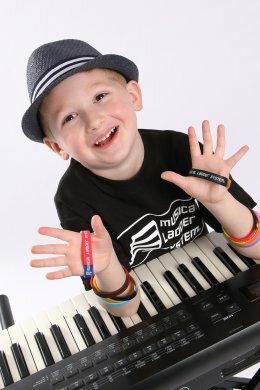 We are the only music school in San Antonio that gives their students the opportunity to earn special color wristband bracelets (kids and teens love them! ), trophies and certificates for passing musical tests. Do other schools offer trophies and certificates? A few. But none of them inspire their students with smiling faces (see picture to the right) by giving them full color, really cool wristbands that they can show off to their friends. More importantly, when our students have a test coming up, they practice more, their parents are proud, their teachers are proud, and everybody wins. You can only get this system here. We also specialize in music lessons for adults. We don't think learning music should be boring--it should be fun! ​14. Early afternoon lessons for homeschoolers, retirees, college students and working professionals. We are able to be a 'full service' music school. This allows us to offer lessons as early as 2 p.m. If you are a home school parent, retiree, college student or working professional who has a flexible schedule, take advantage of our early lesson spots. Offering quality piano and saxophone lessons in San Antonio TX. Serving the communities of San Antonio, Leon Valley, Helotes, Balcones Heights, Lackland AFB, Ft. Sam Houston, Brooks AFB, Alamo Heights, Stone Oak, Bulverde, Timberwood Park, Canyon Lake, Mico, Kirby, Converse, Live Oak, Selma, Schertz, Losoya, and more.